Last night I went to see Dancap's production of "Anne of Green Gables-The Musical" at the beautiful Elgin Theatre with my very good friend, or should I say "kindred spirit", Amanda. I had seen the play performed at Stage West a few years back and really enjoyed it, but this was the first time seeing the musical version like the one that has been performed in PEI for the past 45 years and counting. It was wonderful! Some parts of the play were a little lighter then the book or movie, but they kept the heart of the story in tacked. The dancing and musical numbers were very enjoyable. We each enjoyed an ice cream during the intermission just like Anne and Diana at Anne's first picnic. We were happy to discover that the gift shop was selling Raspberry Cordial, that I know we will both enjoy over the long weekend. This is a must see for Anne fans! Awww, I think you are a kindred spirit too Ang! :) I am going to drink some Raspberry Cordial today!! I thought of you when I saw this was coming. The Stage West production turned me off seeing it. 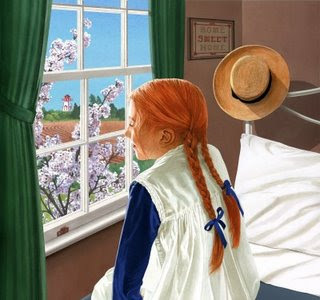 I was never introduced to Anne as a kid so that probably didn't help. I've been to PEI a couple of times and toured the site. It's really interesting!